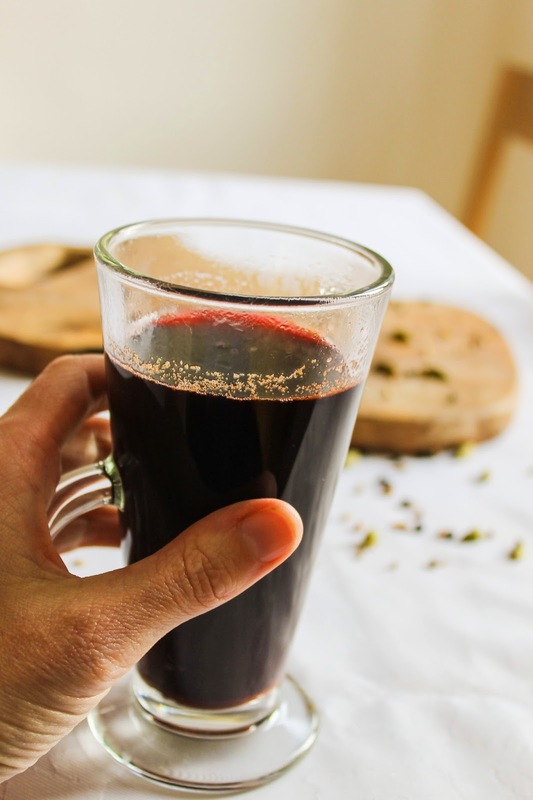 Mulled wine is something I love and will make or buy over the winter months but, after buying a bottle of non alcoholic gluwein from a well known furniture store, it made me wonder, is it actually better? I seem to say this a lot but I'm not puritanical. I will happily have a glass of wine but I'm of the view where if you can make small changes to your life without even noticing which help your health, perhaps you should. When I've made mulled wine in the past, I've added masses of sugar to get the same kind of flavour you can get when buying it in a Christmas Fair, now I'm more than a little convinced that I may have been drinking mulled grape juice all along (or at least a proportion of it.) Still, older and wiser now, I can now make my own and this is how to do it. 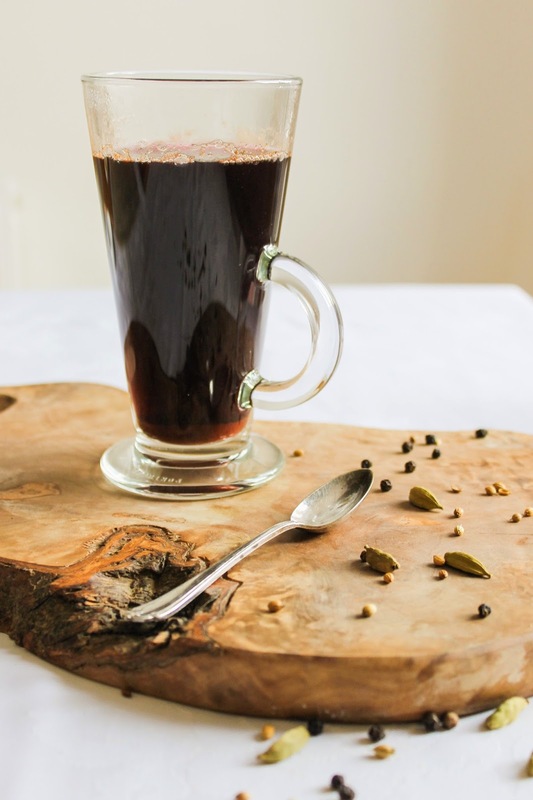 Mulled Grape Juice - makes enough for 1, easily doubled or more. Heat the grape juice with the spices in a saucepan until bubbling. Take off the heat and allow to infuse for a couple of minutes. Add a squeeze of lemon juice and strain into a heatproof glass (a tea-strainer works well for this). If you want to or have more cash, cinnamon sticks would be great for this as some of the ground cinnamon does make it through the sieve (just don't drink the last drops if you're using ground cinnamon) but using a stick would make it much more expensive. 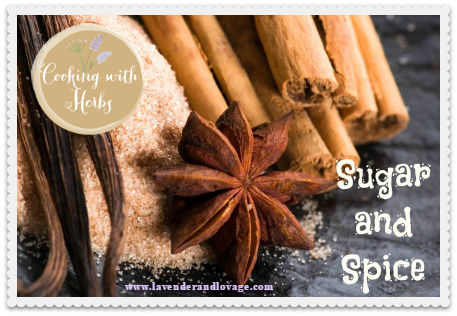 I was inspired to make this by two challenges currently going ahead on two different blogs about sugar and spice in Lavender and Lovage and Pepper for The Spice Trail from Bangers and Mash. 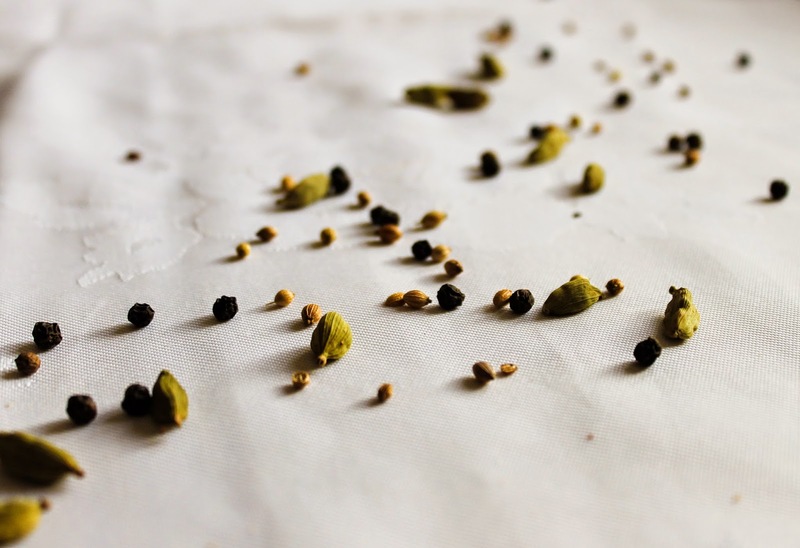 Pepper might seem unusual in a sweet drink but it's often included in drinks and sweet Christmas dishes in central Europe. It lends a subtle heat but also flavour. I've also linked up to the Credit Crunch Munch hosted this month by My Little Italian Kitchen but run by Fuss Free Flavours and Fab Food For All. I've linked as well to Bangers and Mash Festive Family Foodies link up about festive recipes. And because this post is so darn seasonal and great as well as healthy, “This post is shared at the Special Holiday Edition: Healthy, Happy, Green & Natural Party Hop”. 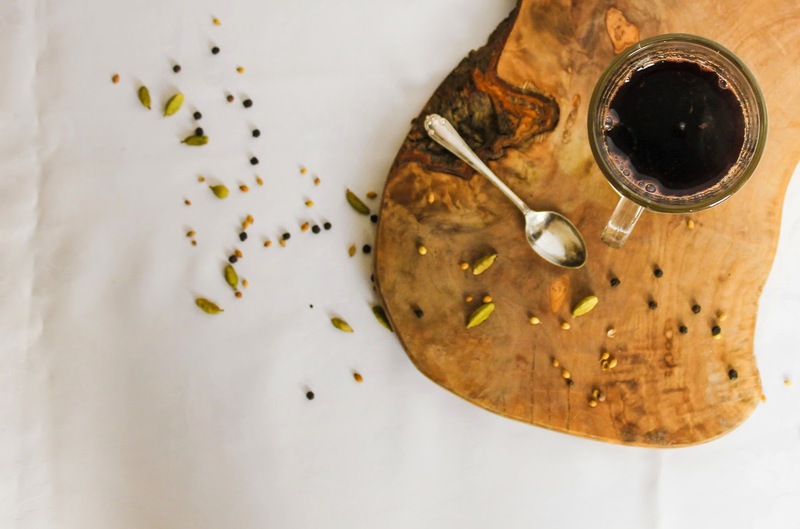 I absolutely love the combination of spices you've used in your mulled grape juice - especially all those peppercorns - bet it smells and tastes glorious. Thanks so much for linking up with November's Spice Trail challenge. Thank you, add more if you like it really spicy! Thank you. I'm working on it! It is. I bought three cartons of grape juice in this week's shopping!!! This grape juice sounds really good! I am an absolute fun of mulled wine and every year I have far too much of it..lol! I really like your version I am bookmarking it! Thank you for entering in #CreditCrunchMunch. Could you please add the badge and the links of the challenge on your blog? This sounds really tasty. I will try it out. I have family that can't drink so it looks like a nice holiday alternative. Pinned. Thanks for bringing this by Weekend Bites. No problem and over the Christmas season, so many people end up drinking far too much (in the UK anyway), I think it's always great to have a really special alternative even for drinkers. This is awesome! Just what I want to serve for the holidays! Thank you for sharing your Mulled Grape Juice with us at the Special Holiday Edition: Healthy, Happy, Green and Natural Party Blog Hop 2014! I'm pinning and sharing your wonderful post! All the best to you!Happy Holidays!